This very rare bottle of sweet white wine from the outstanding 1953 vintage is a distinctive yellow colour and is marvellously rich with a perfect balance and has a hot dry finish. Drink now - 2034. 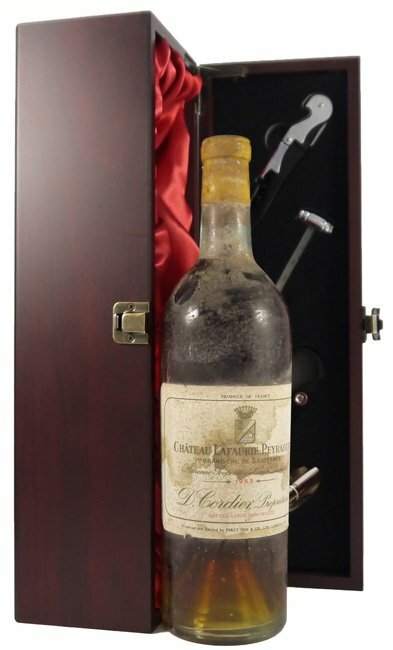 The 1941 vintage in Bordeaux was fair with tough wartime conditions hindering wine producers along with a shortage of labour and materials and pesticides. The colour of the glass wine bottles in Bordeaux was clear during the war years.